Unlock Samsung Galaxy Stratosphere II I415 - Safe IMEI Unlocking Codes for You! 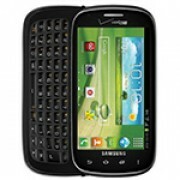 Unlock Samsung Galaxy Stratosphere II I415 Handset! In case your Galaxy Stratosphere II I415 doesn't ask for the code and there is no designated field to enter it, please DON'T PLACE ANY ORDER, contact us first for support. Are you looking to unlock your Samsung Galaxy Stratosphere II I415 smartphone to use it with Any GSM SIM Card worldwide? If yes, do it with our Fast Online Service! Our unlock codes works for the latest models including Galaxy S II, Galaxy S3, Galaxy Note, Infuse 4G, Omnia, Galaxy Skyrocket, Captivate and many more! 1.Send us the correct IMEI of your Galaxy Stratosphere II I415. (Find the IMEI by dialing *#06# on your phone or by checking the sticker underneath the battery) The IMEI is a 15 or 16 digit number and is unique. How to Unlock Samsung Galaxy Stratosphere II I415 Phone - Tutorial! Hi Bert! Yes, we have discounts and giveaways available if you need more than one code. Please email us for more details. Thank you! I have Samsung Galaxy Stratosphere from Barbados - Digicel can you unlock it? Hi! Yes, we should be able to get a code for your device. Please use the form for more details. Thank you!